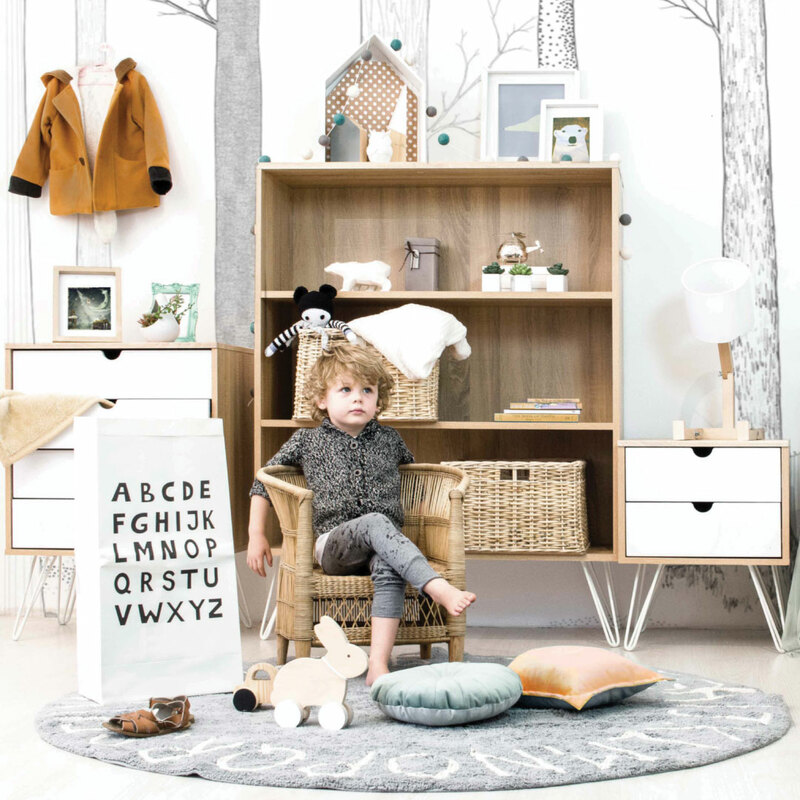 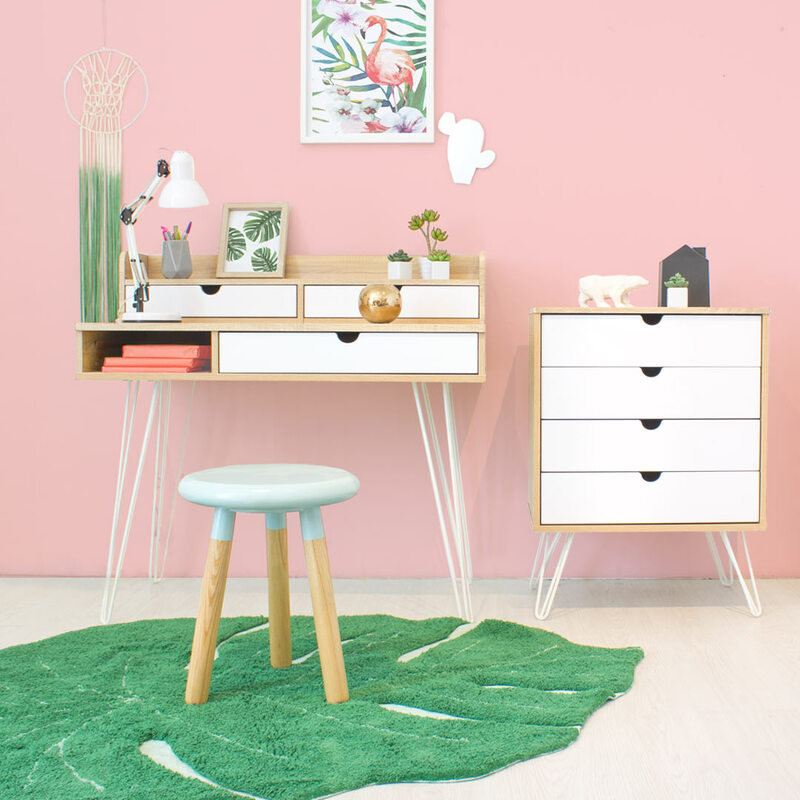 The contemporary Kika Bookshelf is perfect for kids bedrooms with its durable finishes and sturdy design. 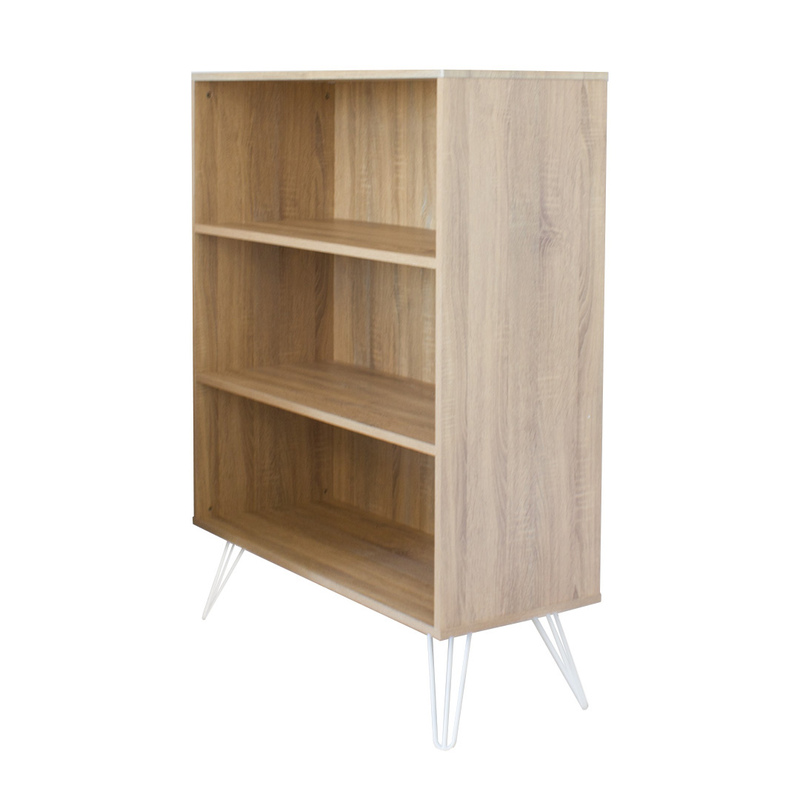 The bookshelf features distinctive slanted three-pronged legs consisting of powder coated metal, giving it a trendy Scandinavian look. 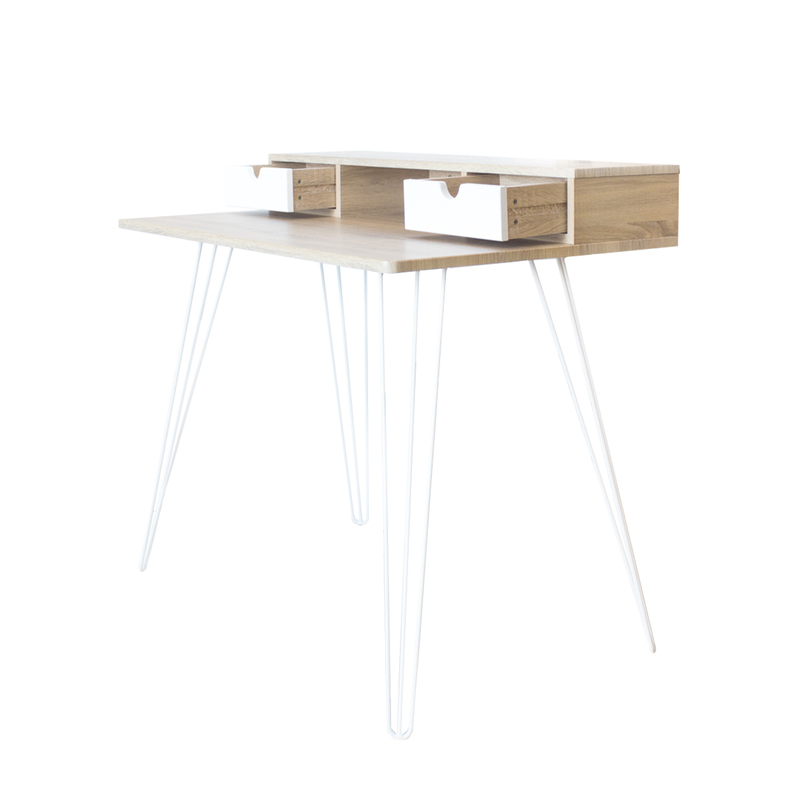 Since the bookshelf is lifted 23cm off the ground, it allows for easy cleaning underneath. 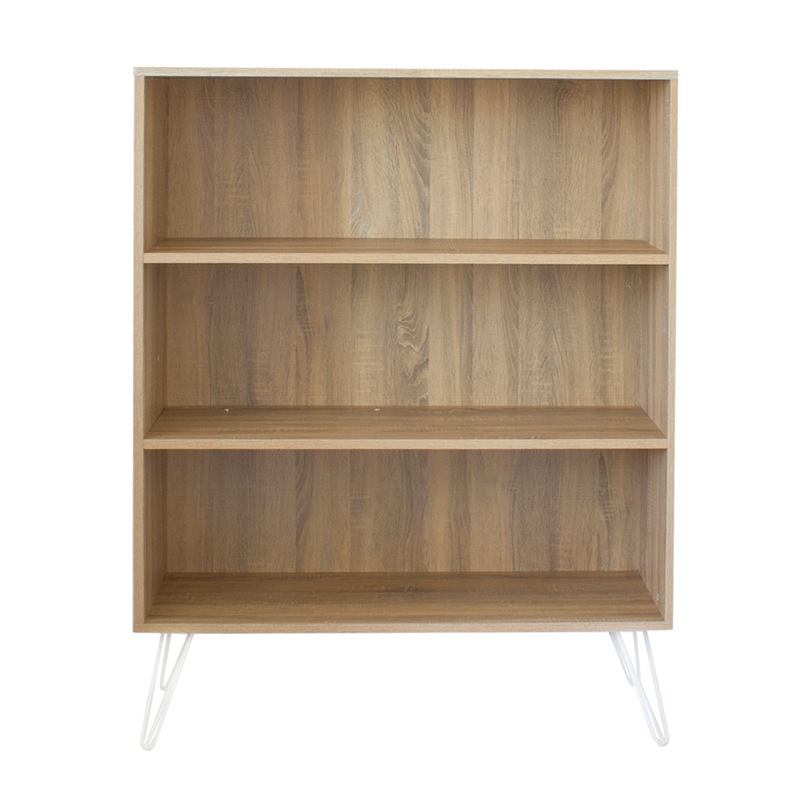 This cool bookshelf has plenty of storage space with three deep shelves 32.5cm in height to accommodate large books and files. 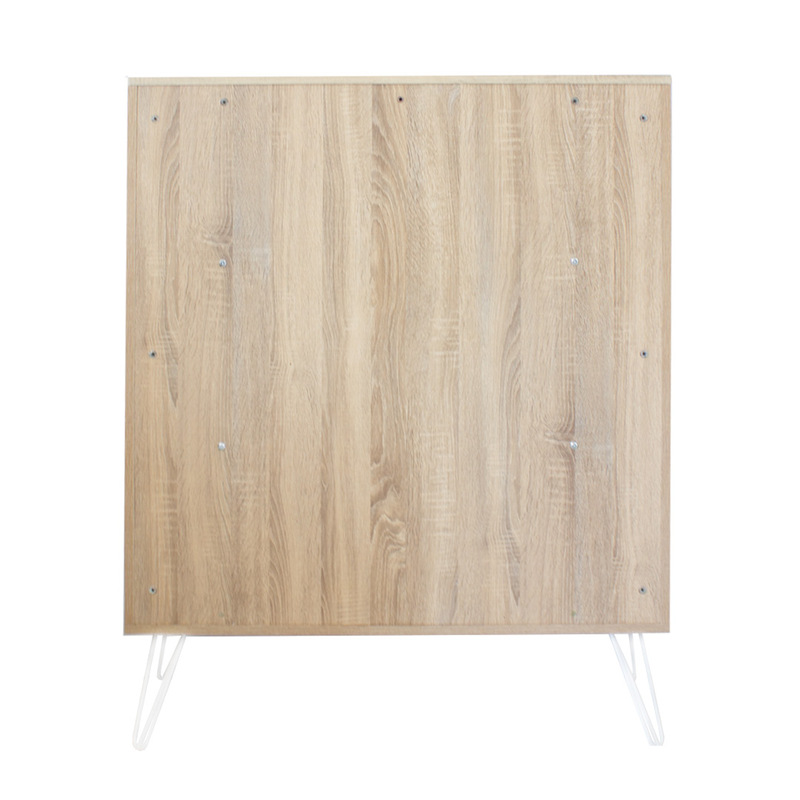 The thickness of the shelf board (18mm) ensures adequate support for a heavy load. 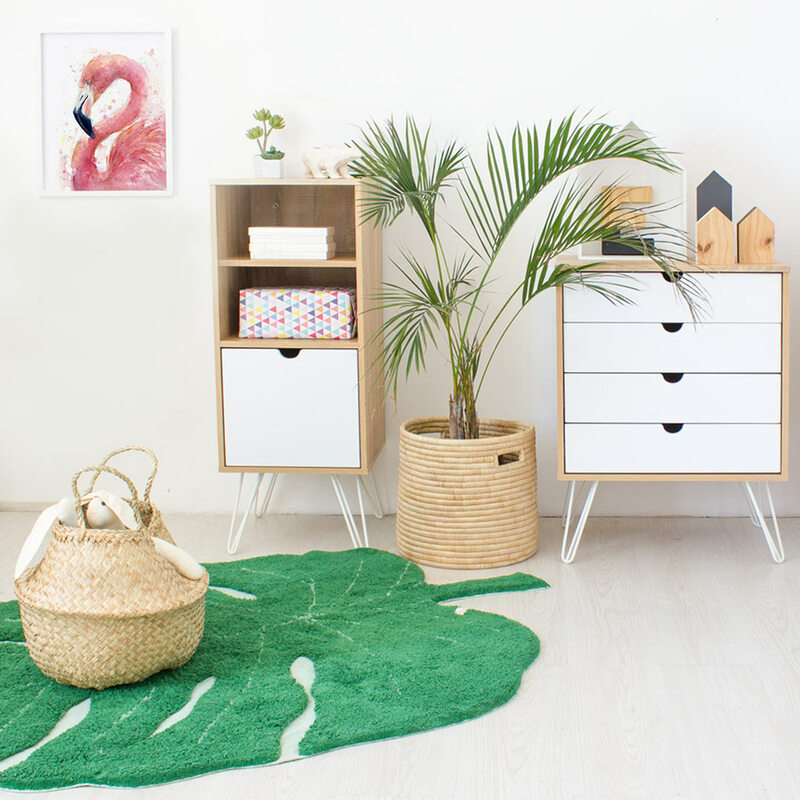 The Kika Bookshelf is manufactured from scratch-resistant woodgrain laminated E1 MDF. 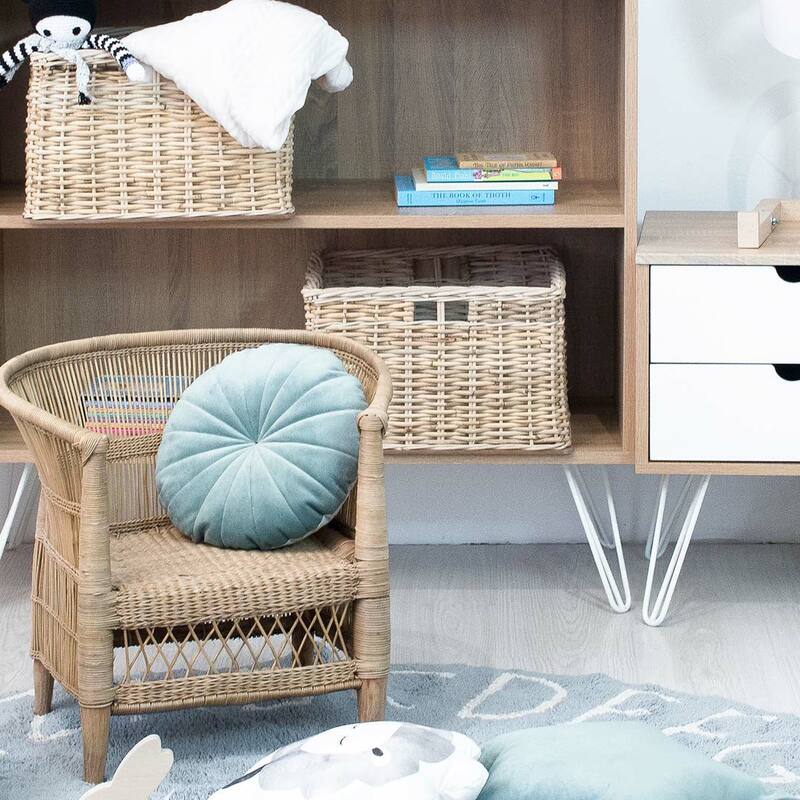 Since kids furniture by nature tend to take a lot of wear and tear, this piece is ideal to last for many years as your little one grows. 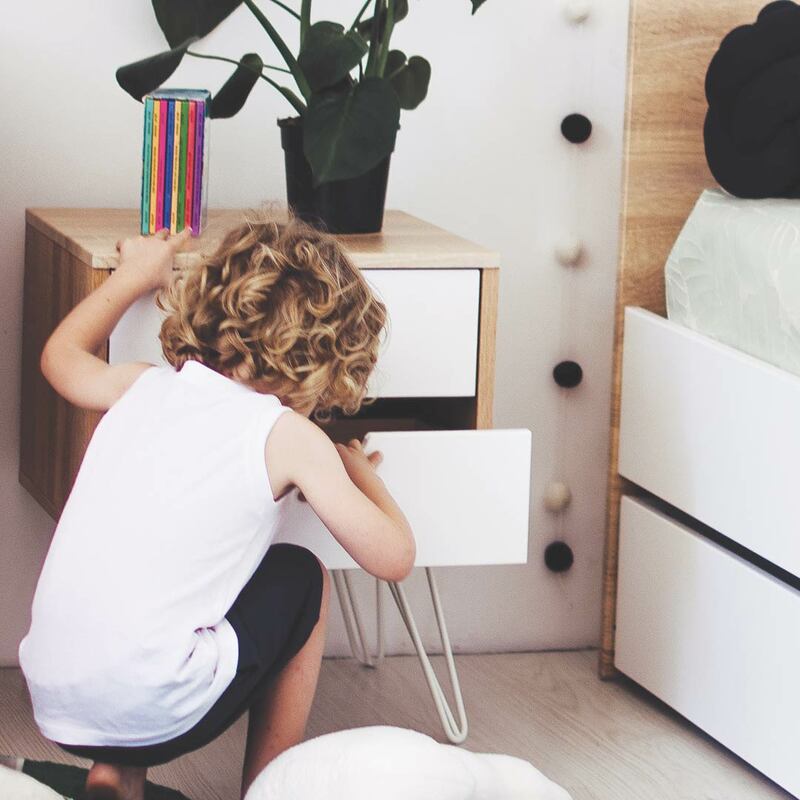 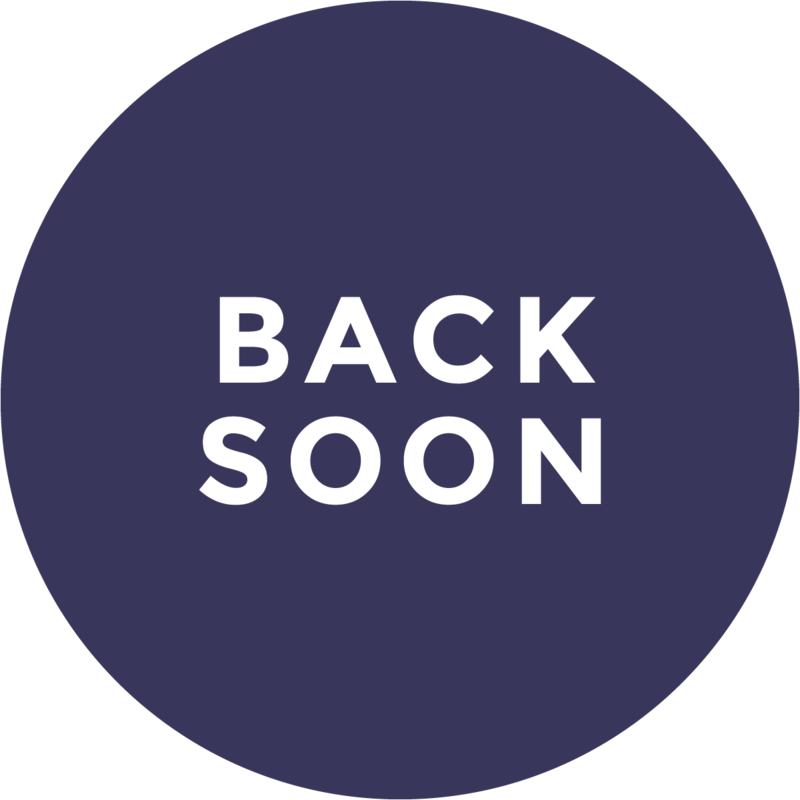 The Kika collection offers parents a complete kids bedroom solution, making the furnishing of your child’s favourite space easy and hassle free.